Nashville, TN (October 1, 2012) — In spite of all the deer that Junior Sisk as an avid huntsman may have collected over the years, last Thursday night was without a doubt the biggest night of his life. “A Far Cry From Lester And Earl” broke several chart records this year and was #1 four consecutive months on Bluegrass Unlimited’s Top 30 Songs chart (3/12-6/12) and six consecutive months on Bluegrass Music Profiles’ Top 30 Hot Singles (12/11-5/12). In addition, The Heart Of A Song enjoyed multiple months as the #1 album on BMP’s Top 10 CDs and on SiriusXM’s Most Played Albums chart. It’s been an outstanding year for Junior Sisk & Ramblers Choice. 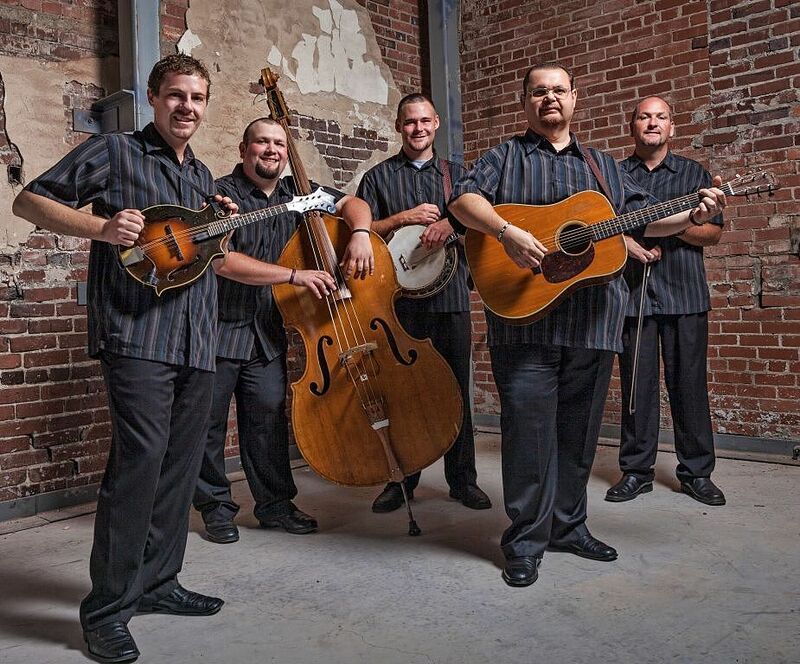 In addition to the IBMA accolades, the band also recently announced a partnership with NASCAR legend Ward Burton and the Ward Burton Wildlife Foundation. 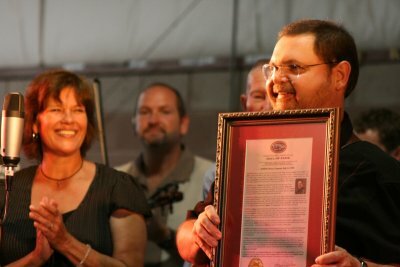 And earlier this month, Sisk was inducted into the Virginia Folk Music Hall of Fame. With the band’s extremely busy year, including a packed touring schedule, they have still managed to find time to work on their next project, The Story Of The Day That I Died, due for release on Rebel Records March 12, 2013. The title cut will be released as a single to radio programmers worldwide on Sisk’s Birthday, November 6th of this year. Junior Sisk getting award as wife, Susan Sisk looks on. Chesterfield, VA (September 21, 2012) — Virginia native, Junior Sisk was honored by his home-state and colleagues during a ceremony in Chesterfield, Virginia on Friday, September 14th. Sigrid Williams of the Virginia Folk Music Hall of Fame presented Sisk with a plaque during a performance by his band, Junior Sisk & Ramblers Choice, officially honoring Sisk as the 2012 Virginia Folk Music Hall of Fame Inductee. The Virginia Folk Music Association was formed in 1943 for the purpose of preserving the history of country, bluegrass and gospel music. In 1973, the “Hall of Fame” was established and since that time has inducted many well known musicians such as Roy Clark, The Statler Brothers, Jimmy Dean and bluegrass legends Jim & Jesse McReynolds. Junior Sisk will be part of the Bluegrass talent that descends on Nashville next week at IBMA World of Bluegrass.